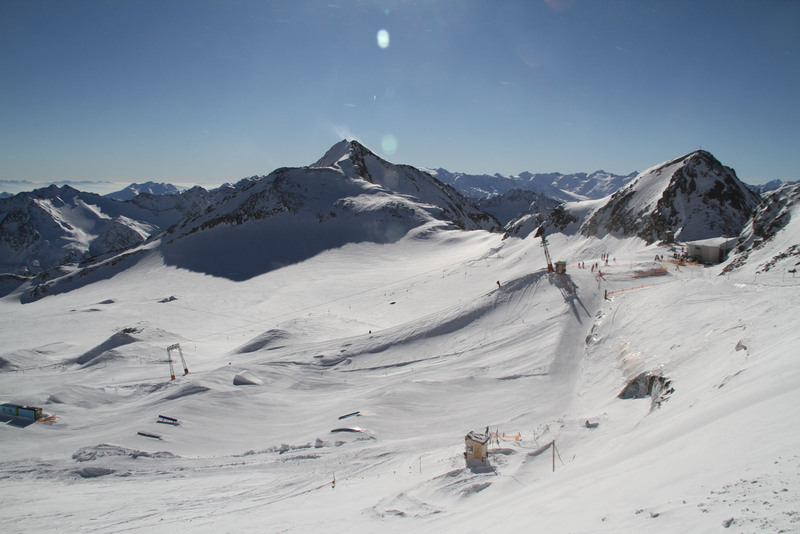 Stubaier Glacier is near Innsbruck – the most famous ski area, the largest and highest with the longest ski season – on the Olympic Ski World pass along with eight other ski areas – Nordkette, Kühtai, Axamer Lizum, Patscherkofel, Glungezer, Mutteralm, Schlick 2000, and Rangger Kopfl. 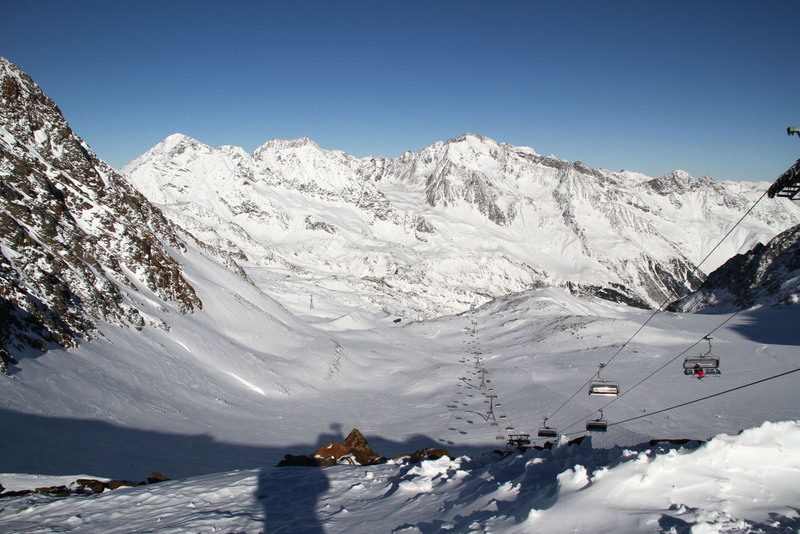 Stubaier Glacier, Stubaier Gletscher in native German, is the highest ski resort in the Tyrol, called the top of Tyrol. 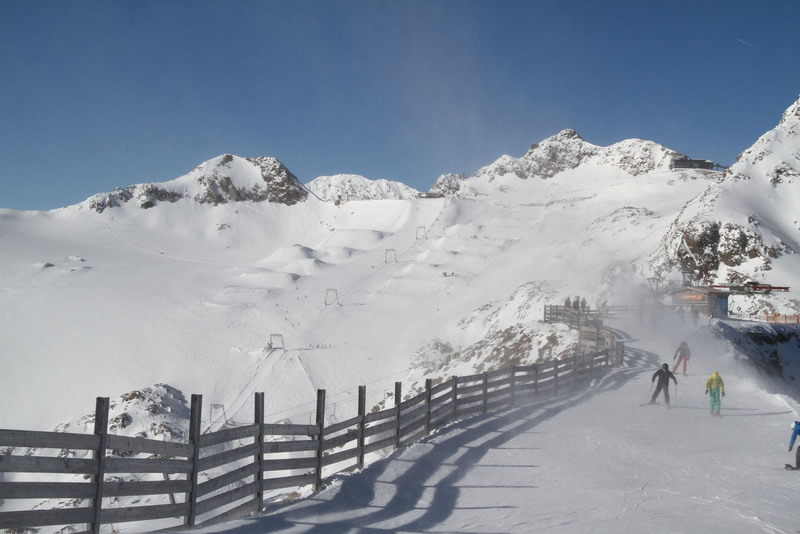 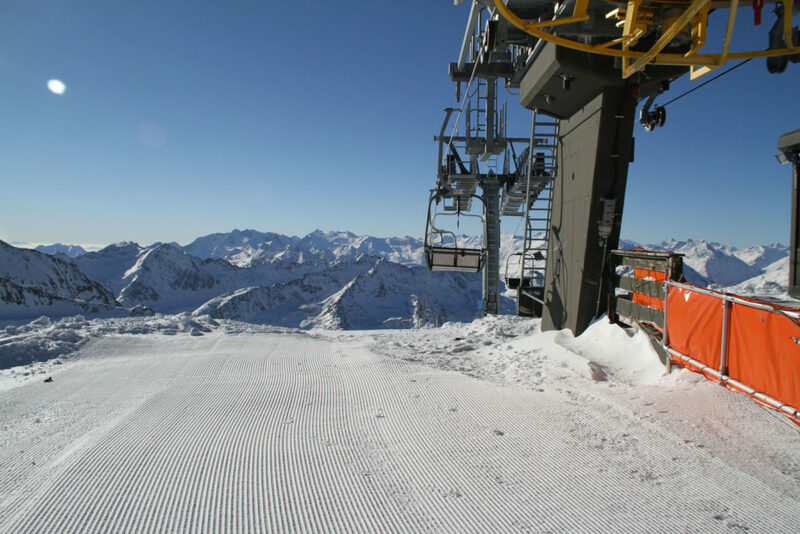 This is Austria’s biggest glacier skiing with 25 lifts and over 110 kilometers of prepared ski runs. 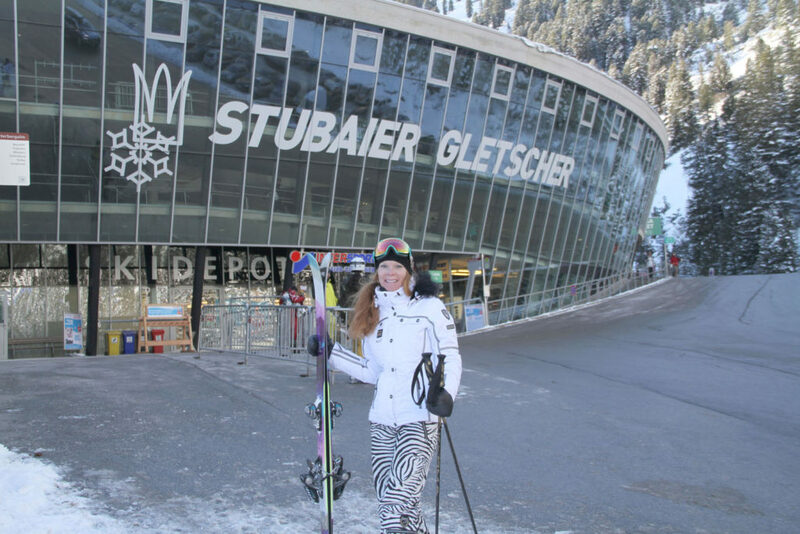 As you arrive at Stubaier, the welcome gondola building is gleaming, glass and steel, far from the wooden chalets you might expect in Austria. 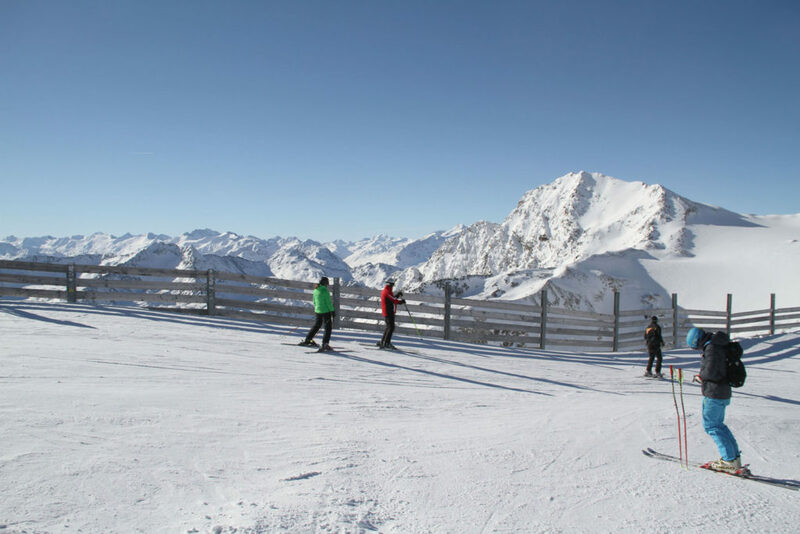 A long base to mid mountain gondola brings you up to high alpine, highly scenic terrain. 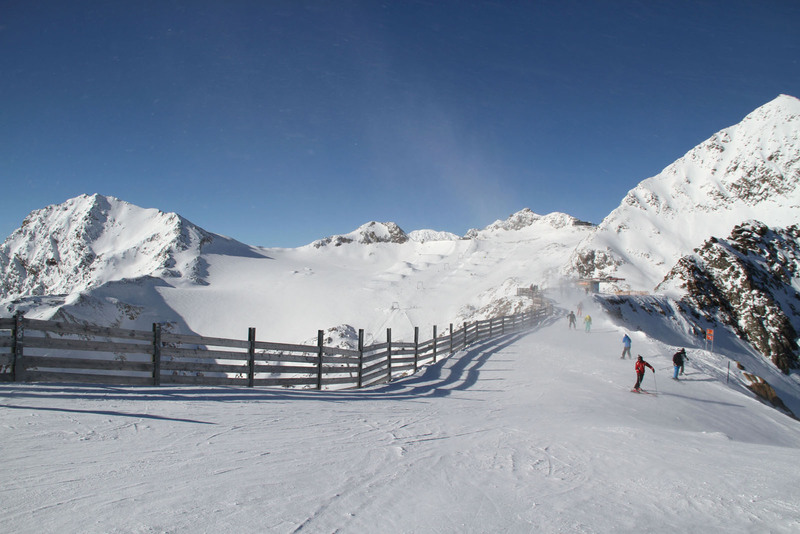 Because Stubaier is big elevation it can be windy and wild, but the views to the Italian Dolomites are worth it. From the top of Stubaier, you can see nine unique 3,000 meter peaks. 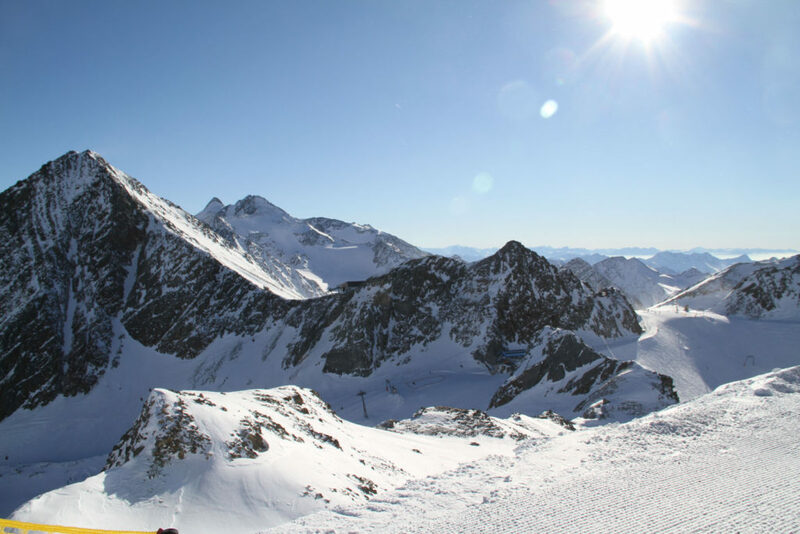 Stubaier is called the Kingdom of Snow because of its glaciers and significant snowmaking, their ski season spans October to June. 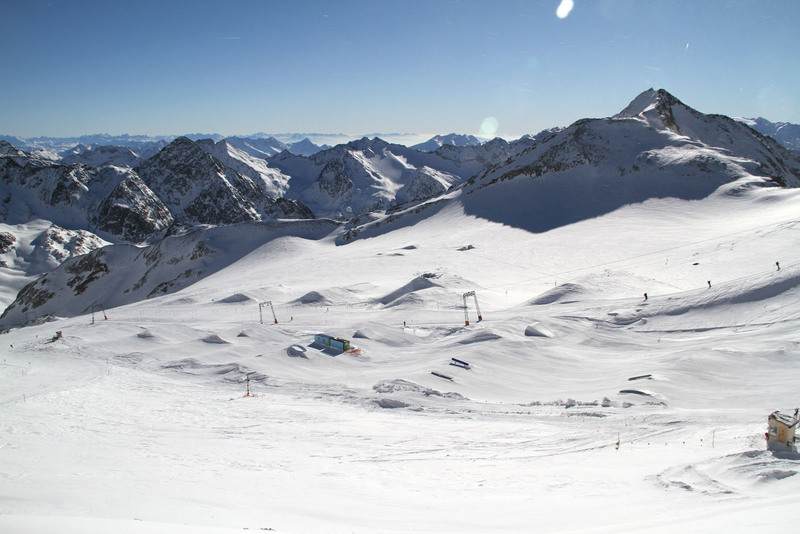 Up on the glacier, there are several chairs and many t-bars, which withstand the glacial movement, and wide groomed pistes with moderate pitch, plus a summit Fun Park, and plenty of off-piste to get in to trouble- be careful, get a guide. 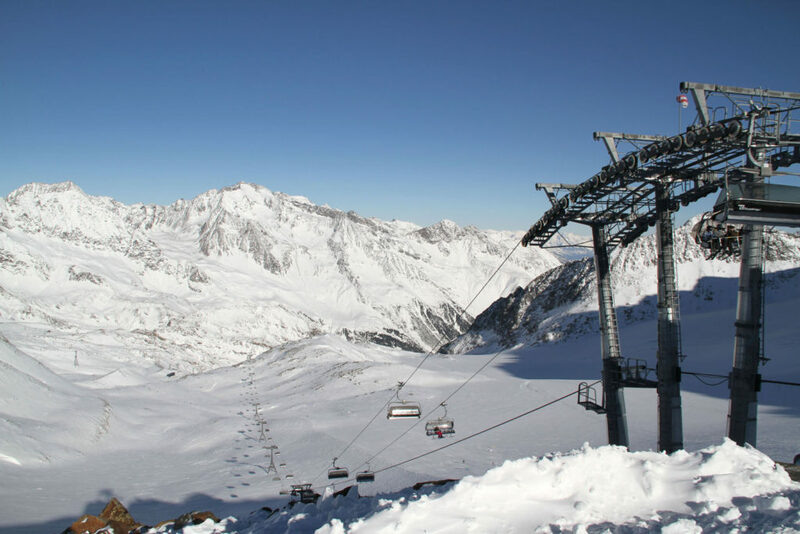 To dine in the highest restaurant in Austria, the Jochdohl is a cool designed building, steel wrapped into the mountain, with panoramic window tables. 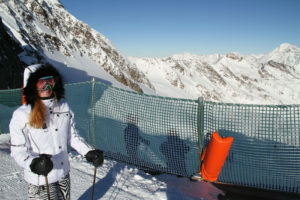 The food is cafeteria and gets very busy, but the view is phenomenal. 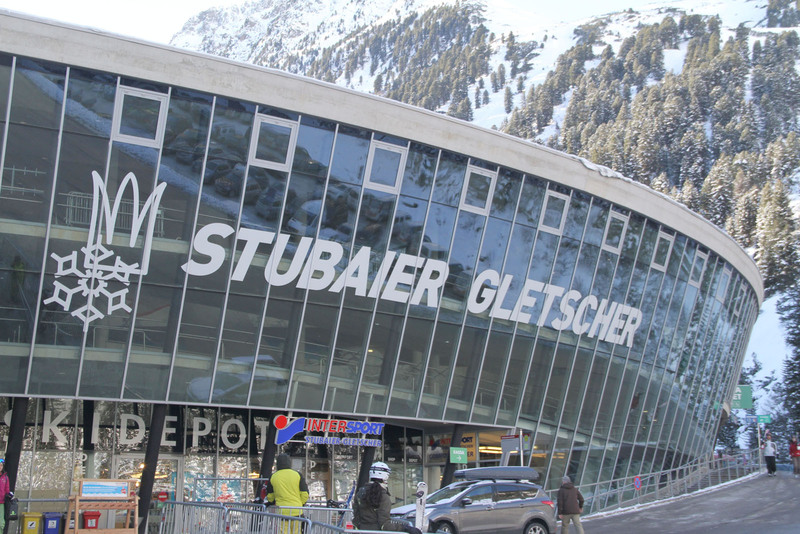 Stubaier Glacier is busy, but prepared to handle the masses, from the modern lift terminals to the lodges. 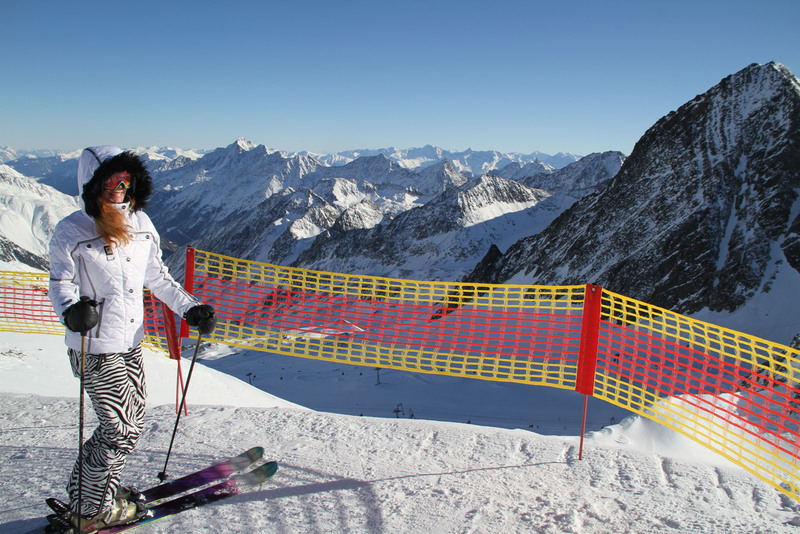 Don’t miss the long ski run all the way to the base to get the full 4,500’ vertical. 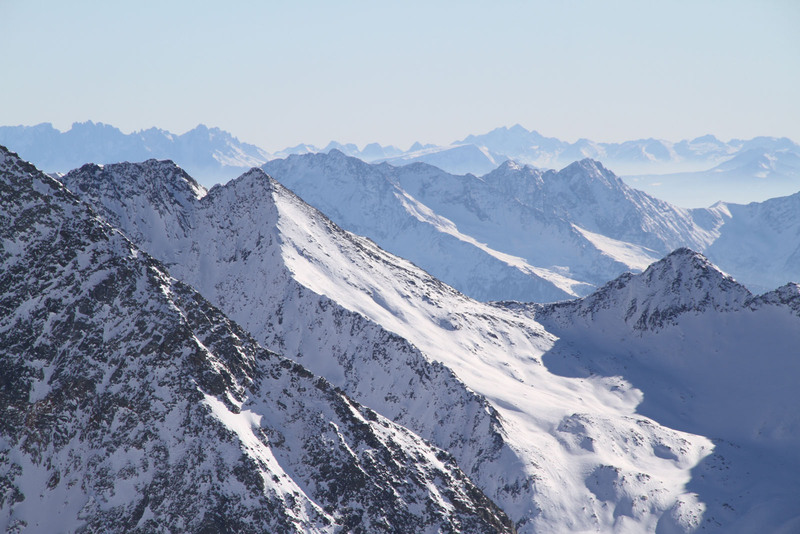 You can lodge in Stubaier, or stay in Innsbruck just 45 minutes away to enjoy this historic city and its many sights. 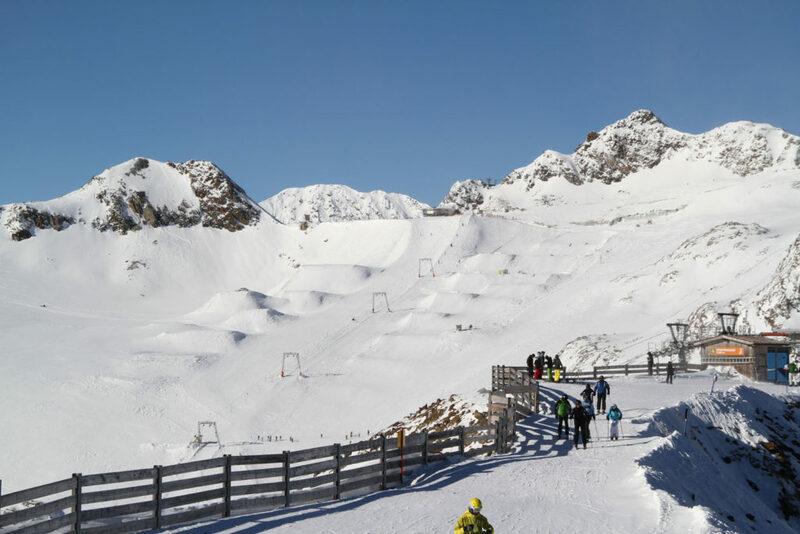 Other worthwhile Innsbruck ski areas to visit include Nordkette, Kühtai, Axamer Lizum.